NEC Foundation Inc., non-stock, non-profit Filipino corporation dedicated to assist in the education of Filipinos announces the details and requirements of their scholarship program for the Filipino undergraduate for Academic Year 2014-2015. 6. For non-U.P. Diliman students, must be currently enrolled at any NECFI-approved Philippine university or college for Academic Year 2014-2015 in one of the academic programs listed under IA. For U.P. Diliman students, must be at least an incoming 3rd year student in one of the academic programs listed under IA. 4. Living allowance of P3,600.00 per month (including summer session if enrolled). 1. An awardee shall enroll at any NECFI-approved Philippine university or college. It is the responsibility of the applicant to gain admission into the desired academic degree program (course of study) and academic institution. 2. An awardee shall not accept any other scholarship or grant, nor shall he/she accept employment, without the express written consent of NECFI. 3. An awardee shall carry the full semestral load as prescribed in the approved curriculum of the academic institution for the academic degree program he/she is enrolled in. 4. 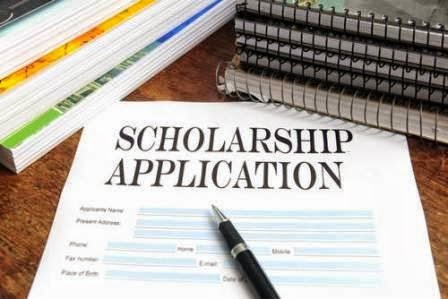 An awardee shall maintain the grade and other requirements of the scholarship for its continuance until the completion of the academic degree program. 5. 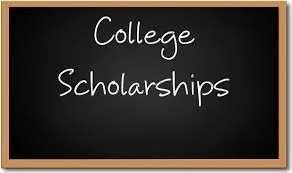 An awardee shall not change his/her academic degree program or his/her college/university during the duration of the scholarship, without the express written consent of NECFI. 6. An awardee shall comply with the terms of a scholarship agreement to be entered into between the awardee, his/her parents/guardian and the NEC Foundation. Get a NECFI Application Form from any of the offices listed in Part IIB. Fill it up and submit with all required supporting documents to the office of NEC Foundation, Inc. on or before February 28, 2014. 925.4895 - or - NEC Philippines, Inc.
6784 Ayala Avenue cor. Herrera St.
1. Application form (NECFI Form 1). 2. Two (2) 1” × 1” pictures taken recently (black and white or color) attached to the first page of the application form. 3. Birth Certificate of applicant. 4. Letter of certification from the respective current employer stating the parents’ or guardian’s, and other working family members’ annual income; or certification from the BIR for those not required to pay income tax; or an affidavit of unemployment. 5. Legal documents attesting to the unemployment or retirement of applicant’s parents or guardian, if applicable. For example, GSIS or SSS retirement papers. 6. Health certificate (NECFI Form 2) signed by a qualified doctor. 7. Sworn Statement of Assets, Liabilities and Net Worth of parents or guardian (NECFI Form 6). 8. Enrolment form for current semester showing subjects being taken. 9. Certification from the College Secretary that the applicant has not been adjudged guilty of any offense requiring disciplinary action (NECFI Forms 4). 10. College transcript of records or true copy of grades for college subjects already taken. 11. Three (3) Statement of Instructor (NECFI Form 5). The instructors must be in a subject related to the applicant’s field of specialization. A. The awardee shall be selected on the basis of his/her academic record and financial need. B. The awardee will be notified of his/her selection by letter or e-mail. C. The awardee and his/her parents or guardian shall sign a scholarship agreement with NECFI. I WOULD LIKE TO ASK IF THE APPLICANT HAS STOPPED SCHOOLING AND WOULD LIKE TO APPLY THIS GIVEN OPPORTUNITY , WOULD IT BE OKAY? THANK YOU! !